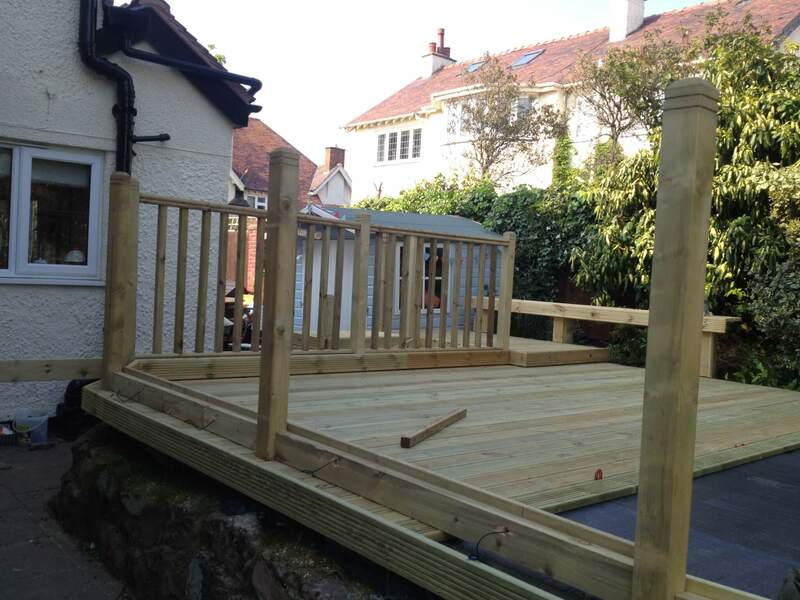 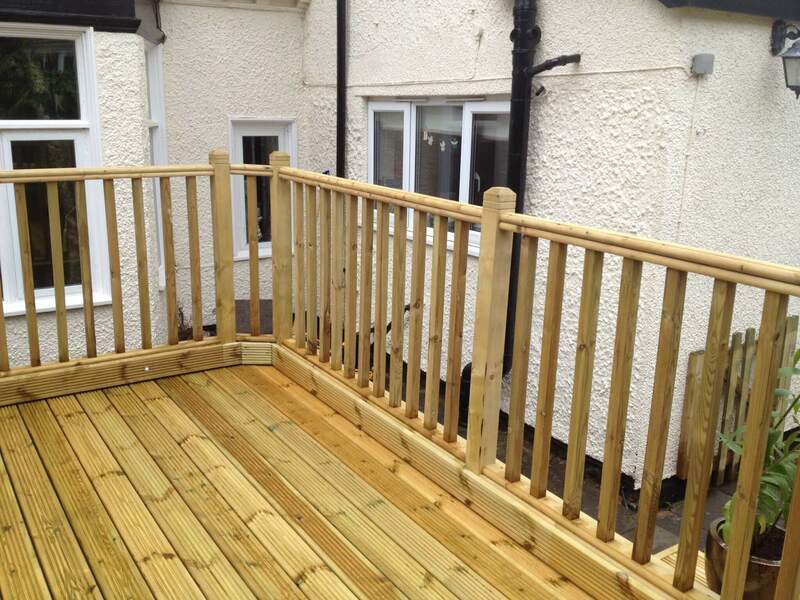 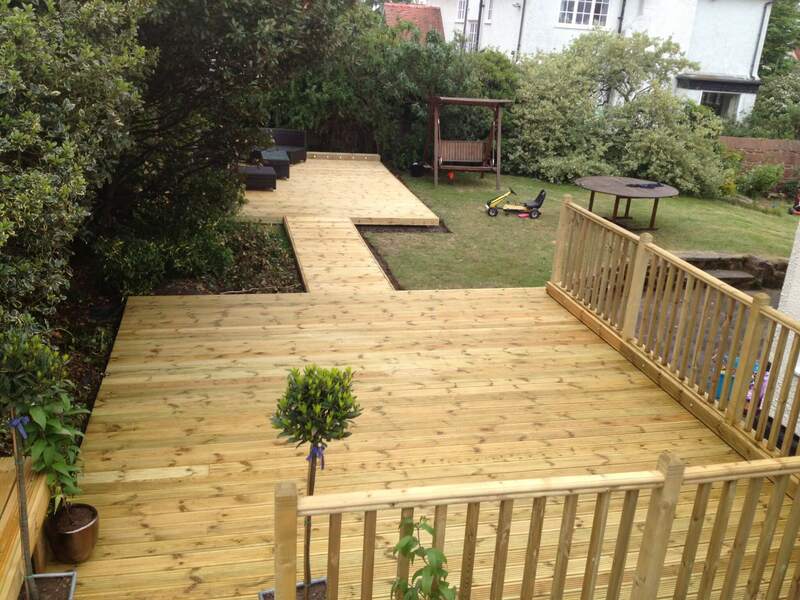 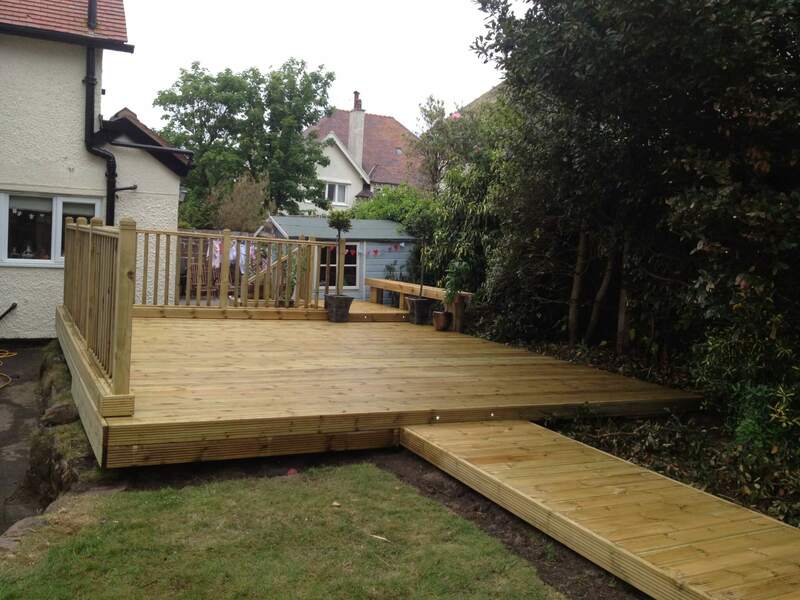 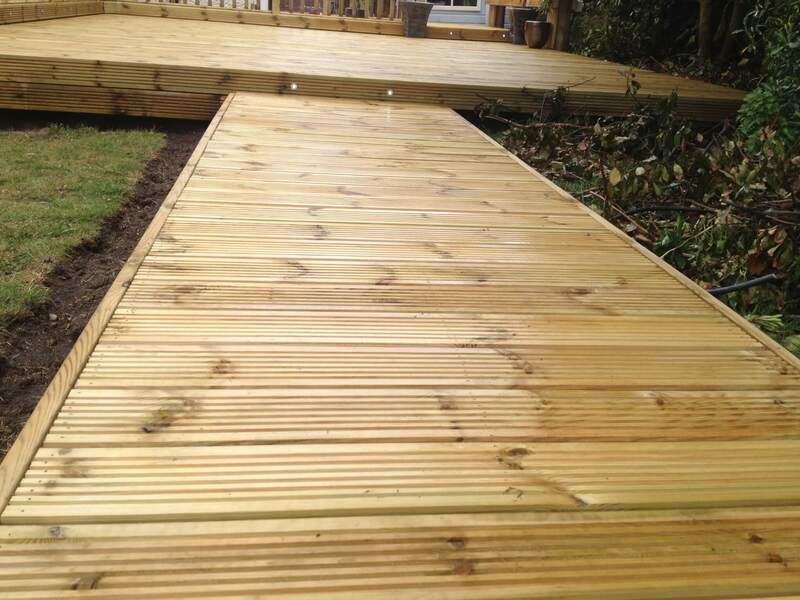 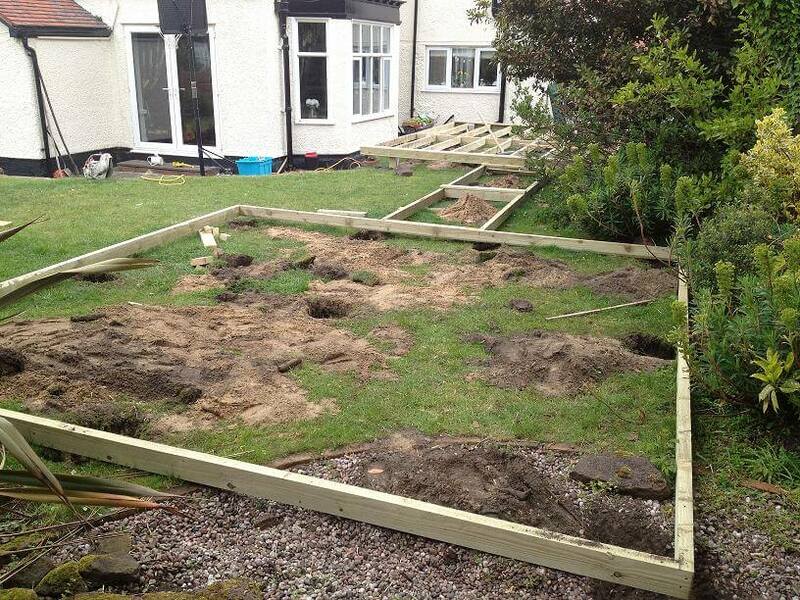 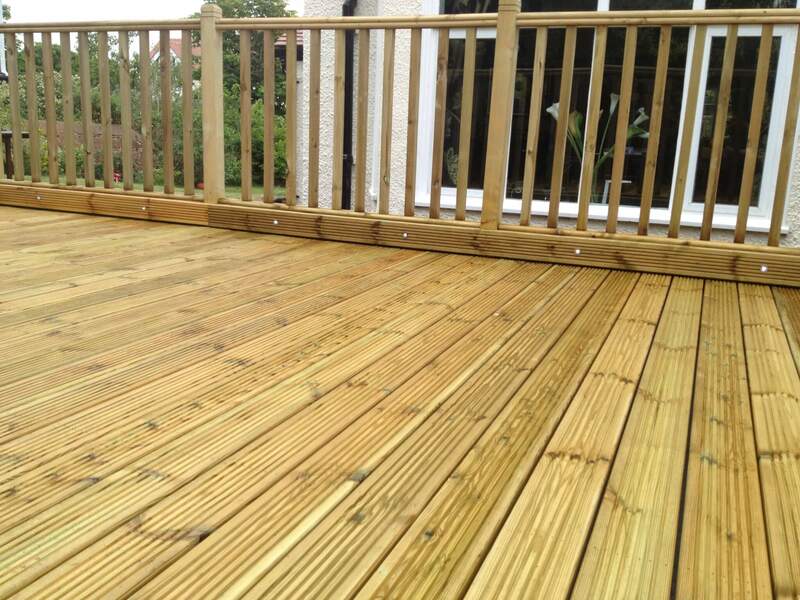 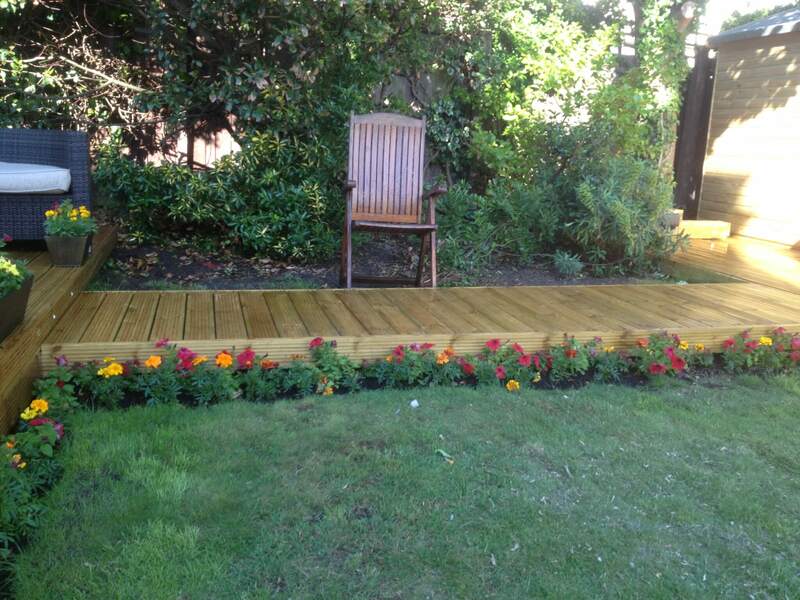 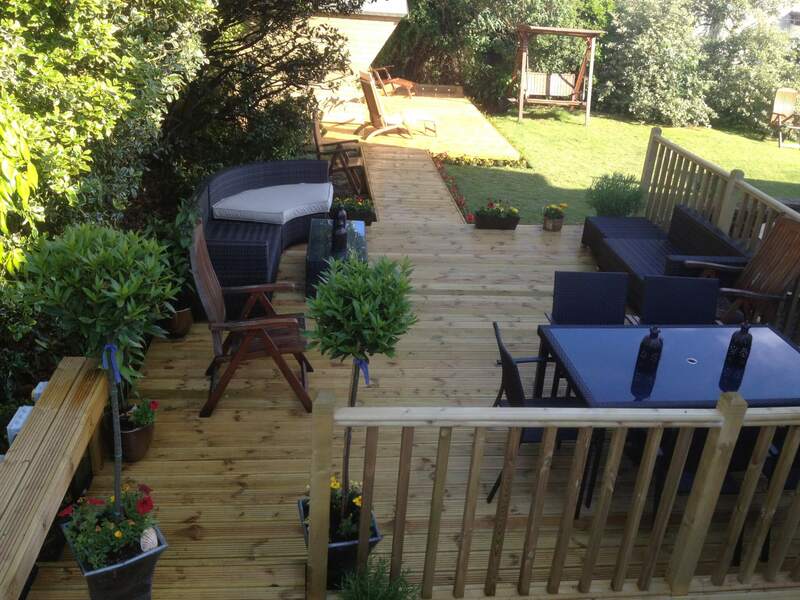 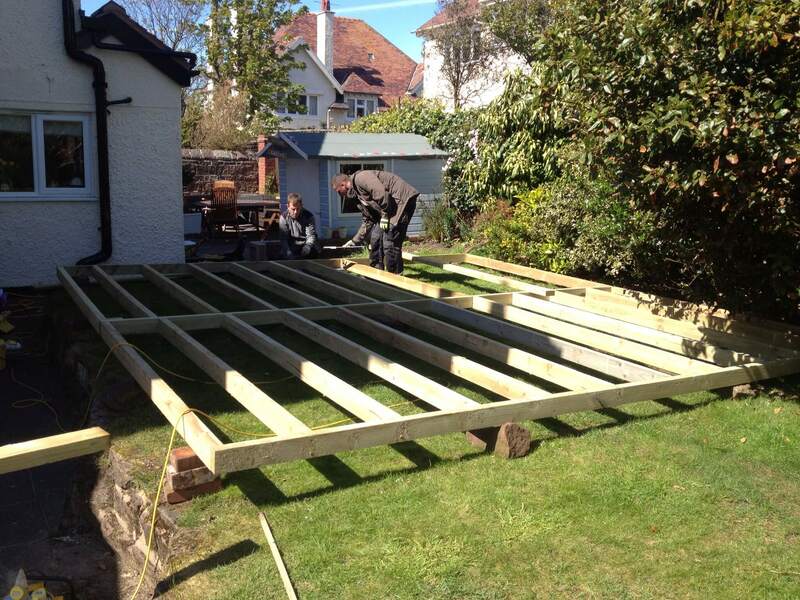 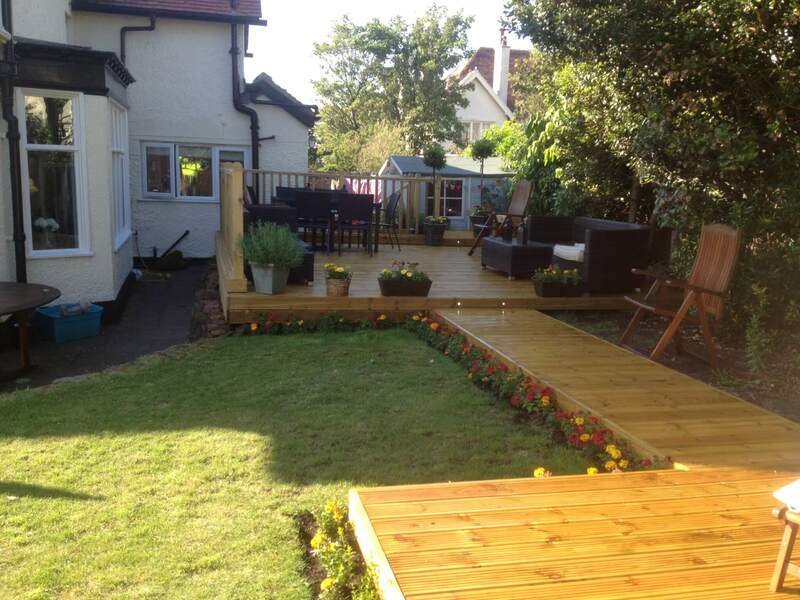 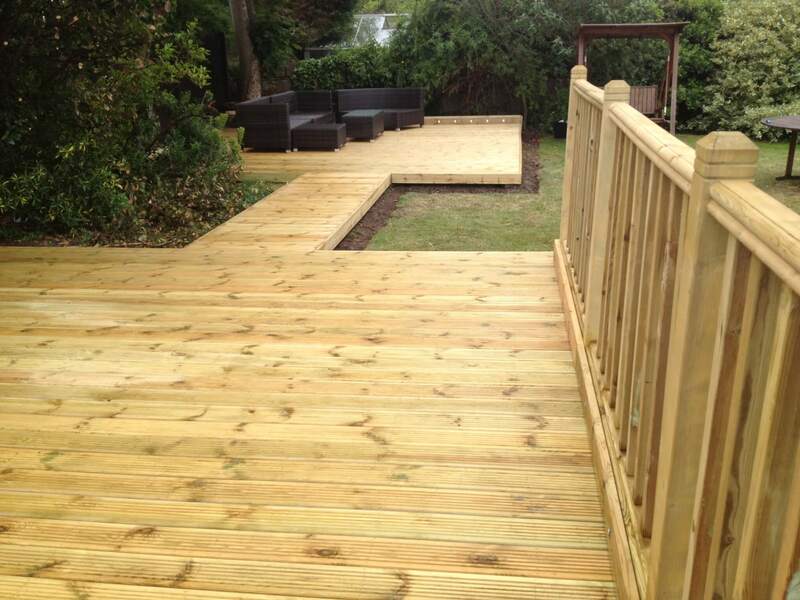 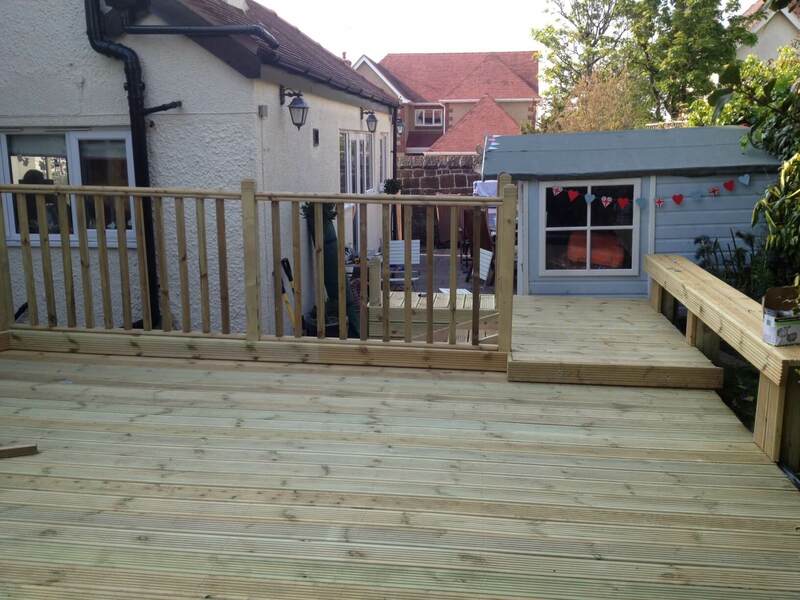 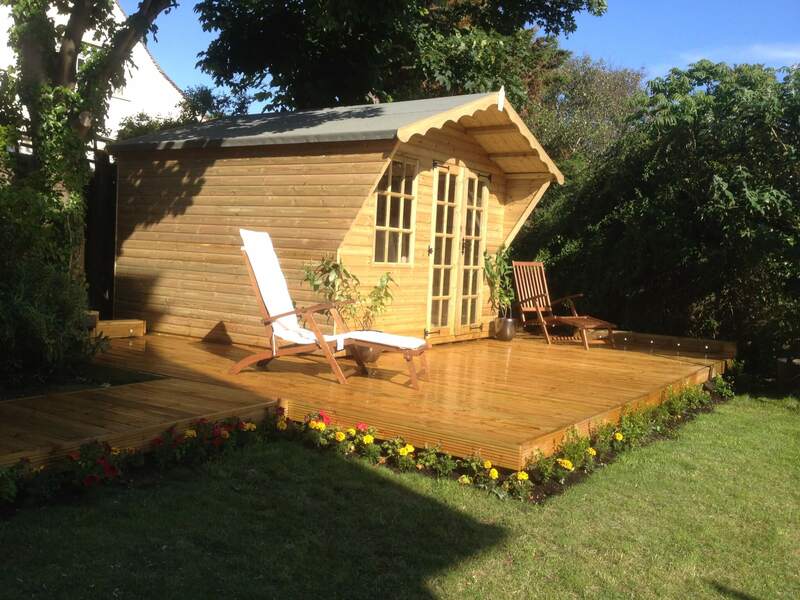 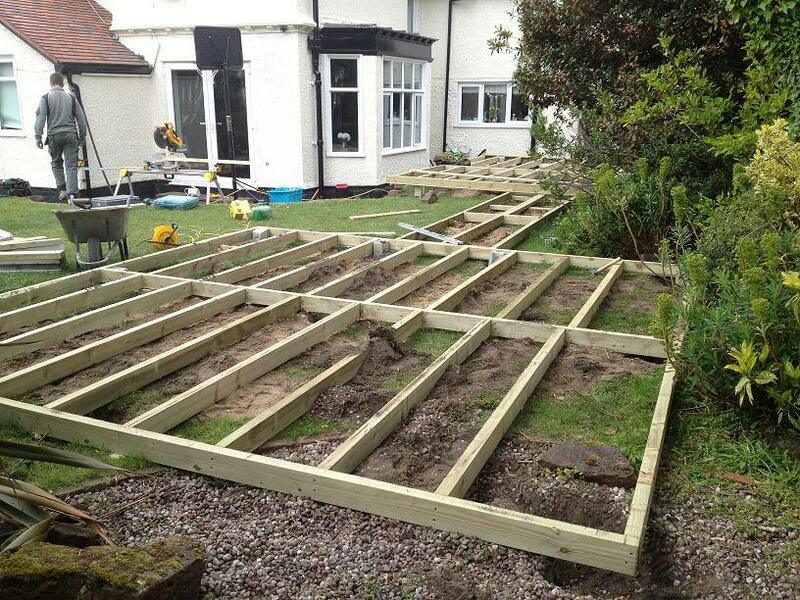 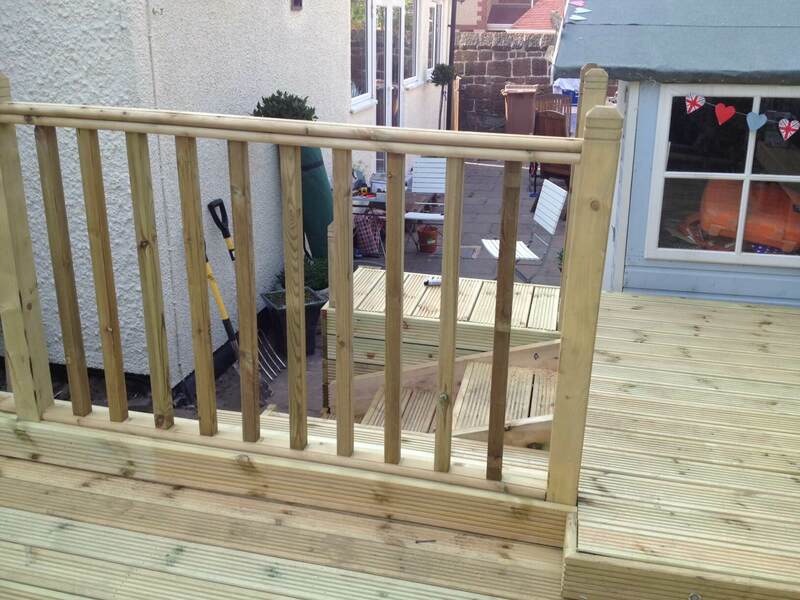 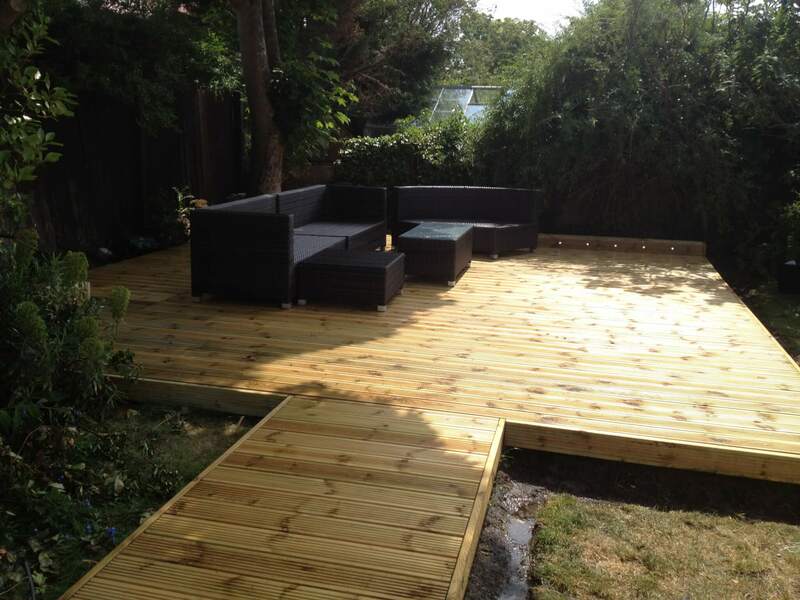 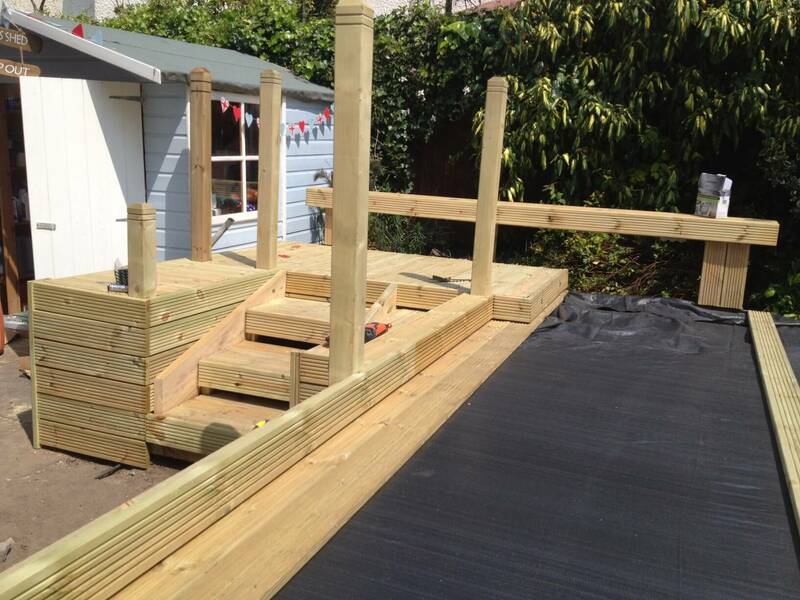 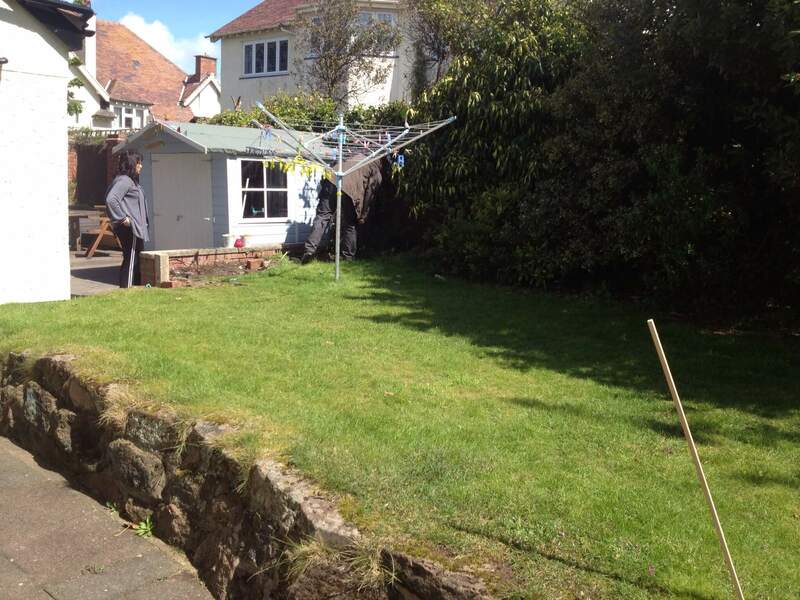 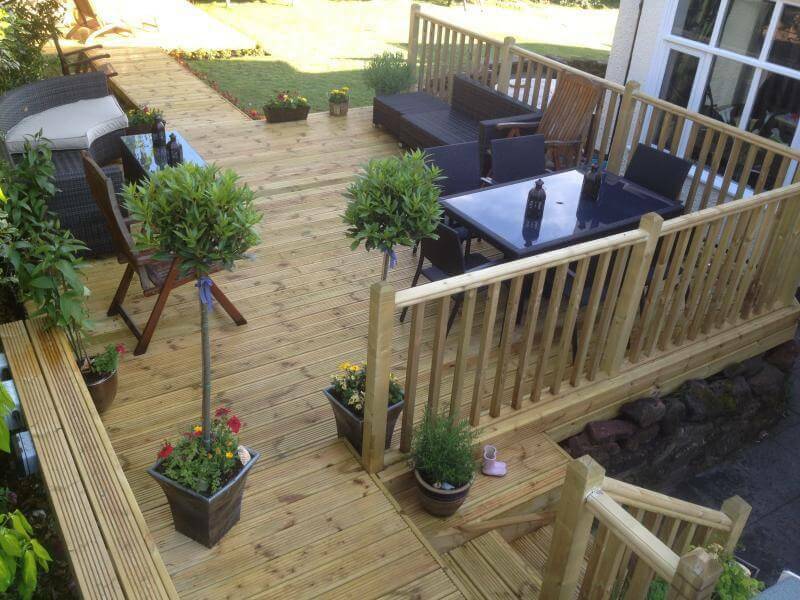 We were installing two main raised deck areas including a dining area, an area for a summer house to sit on and an area for access. 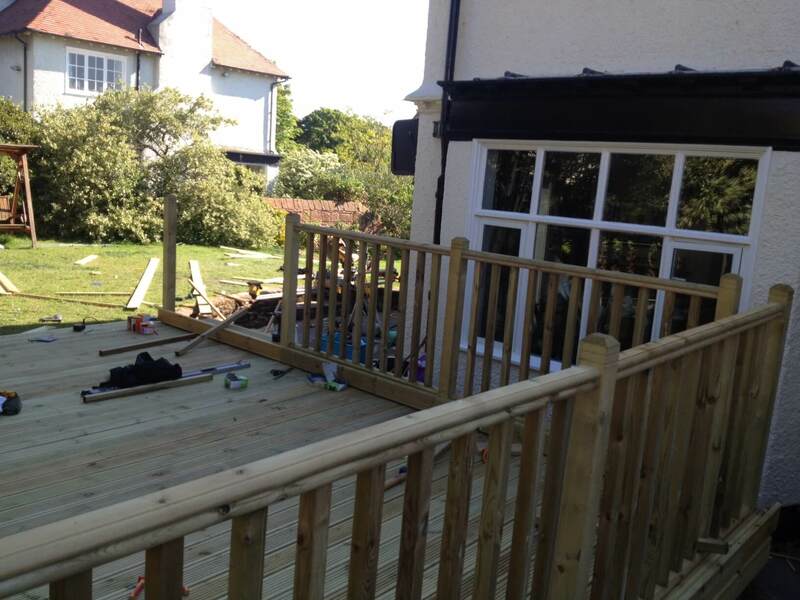 The area for access and main dining area also have a handrail down one side using square mule posts and spindles. 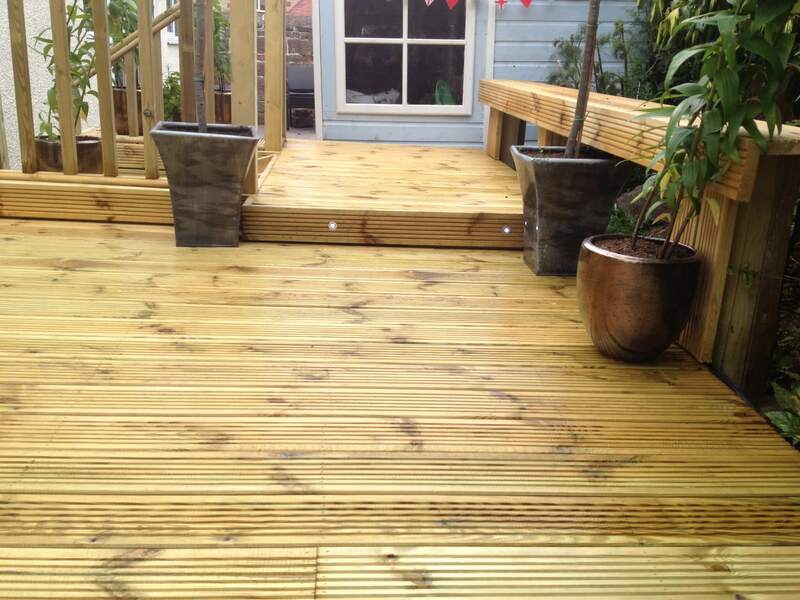 We were installing facias and LED lighting, operating on an external remote control system.